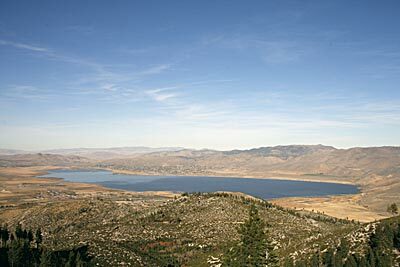 Join state park staff and representatives from other federal and state agencies at Washoe Lake to celebrate this event. There will be educational displays and fun activities for all ages, such as nature crafts, map and compass training, and Leave No Trace and Tread Lightly material. Smokey Bear from the Nevada Division of Forestry will also be on hand. National Get Outdoors Day is a signature event of “Great Outdoors” month, given annually to the month of June by the White House and governors across the United States. Governor Jim Gibbons proclaimed June 2008 as Great Outdoors Month last week. “Great Outdoors Month is an opportunity for our citizens to explore the great outdoor activities Nevada has to offer and renew our commitment to conserving the air, water and land so that generations to come will have the opportunity to enjoy Nevada’s unique and vast outdoor splendor,” Gibbons said. For the past two decades, many Americans have turned indoors and to less physically active leisure pursuits. Visits to national parks and most other public recreation sites have declined. Obesity has increased rapidly among the American people, with significant health consequences, including projections of life expectancy declines of two to five years for today’s youth. Park entrance fees will be waived for this event and activities will be held in the Day Use area. This entry was posted on Wednesday, June 11th, 2008 at 7:29 am and is filed under Forestry, Nevada, Parks. You can follow any responses to this entry through the RSS 2.0 feed. Both comments and pings are currently closed.